I’ve been keeping a wary eye on the fires in Colorado, including one north of me, one south, and one way too close for comfort: the Flagstaff fire. This one crept over the foothills just southwest of Boulder and was pretty threatening there for a day or so, but it looks to be under much better control now, and firefighters think they’ll have it fully contained very soon. It was started by lightning, which is ironic since a few rain showers helped keep the fire under control as well. Boulderite Dustin Henderlong took some amazing time lapse footage of the fire showing how much smoke was pouring out. The shots at night are, well, lovely, as much as I hate to say it. The footage runs from 3:00 p.m. local time on Tuesday June 26 to 10:00 a.m. on Thursday. We’ve had some "spot" fires caused by more lightning strikes since then, but they’ve been taken care of quickly and efficiently by the amazing firefighting force deployed. 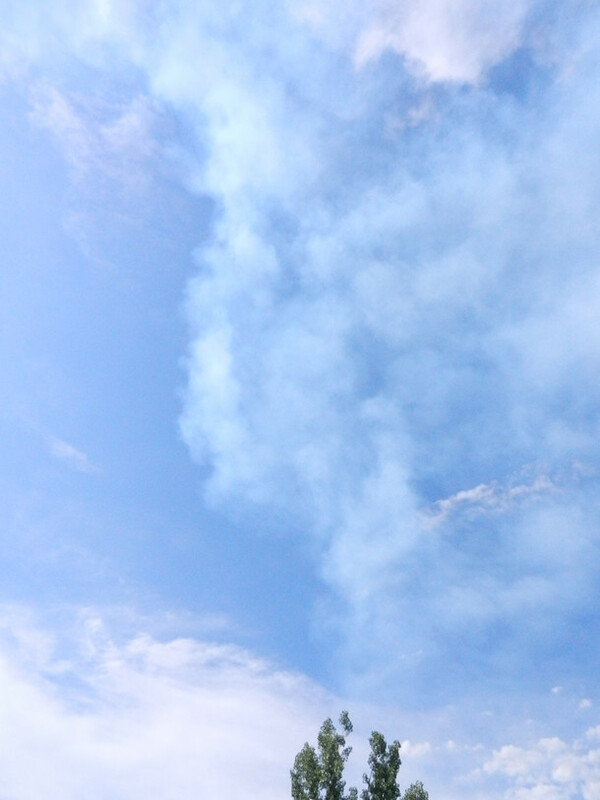 As I mentioned in an earlier post, the thick parts of the smoke are red and the outer parts blue. A lot of that is due to the way light interacts with the particles in the smoke; blue light gets easily scattered away near the edges, but red light penetrates more deeply. This plume was incredibly blue to the eye, more so than you can even see in this picture. It was amazing. Oh- I need to mention a mea culpa. 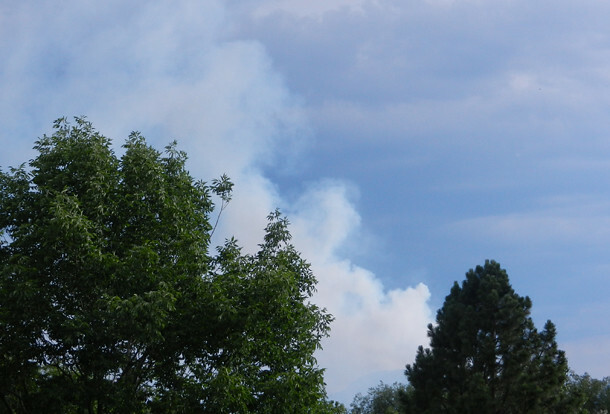 In that earlier post, I said the whitish plume from the High Park fire north of me in Fort Collins was from water vapor, probably from efforts out put the fire out. My old friend Al Janulaw pointed out what should’ve been obvious to me: when you burn an organic molecule (something based on carbon and usually containing lots of hydrogen and oxygen) one of the resulting byproducts is water (the hydrogen and oxygen combine to form H2O). So the water vapor plume is actually due, ironically, to the burning itself! I had to chuckle when he wrote me; I should’ve thought of that myself. I love chemistry, but it’s been a long time since I took a class in it, and for whatever reason this obvious water source slipped my mind. It just goes to show you that even a science lover can have a lapse. Thanks to Al for pointing this out! Finally, as the fire now appears to be on the wane, I’d like to thank everyone who sent notes via email and Twitter asking if I was OK. These fires are all pretty far from where I live, so we’re fine. I wish I could say the same for the folks in Colorado Springs, where it’s nothing less than apocalyptic. But I want to mention all the amazing brave men and women who have been fighting these blazes, especially considering they’re doing so in the incredible heat we’ve been getting, with temperatures commonly getting above 35°C (95+°F). We toss the word "hero" around a lot, but the thing is, they do exist. And I thank them.